Don't buy batteries, lease them | What Car? Renault will not be swayed from its belief that electric car buyers should rent their batteries rather than own them, according to the head of its EV programme, Thierry Koskas. 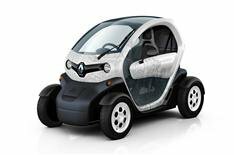 Renault is launching electric versions of five of its vehicles over the next 18 months: two models of the Twizy scooter, plus the Zoe supermini, Fluence saloon and Kangoo van. Buyers of all of these will have to purchase the vehicle and then lease the battery. Its plans have faced opposition in the UK from car leasing companies, which have been influenced by car residual firms either refusing to rate retained values as a result of the cars not being sold with their batteries, or putting low estimations on their retained value. However Koskas has insisted that he expects the situation to change once valuation experts see how Renault's system works. 'Our first duty is to try to convince everyone this is a good business model,' said Koskas. 'I am very convinced that when you think through the process that an electric car has a better residual value without the battery than with it. 'Our way means you don't need to care about the battery life degrading.